Happy Friday Geeklings! Since we have TONS of fall tv, both new and returning starting up next week, we decided to take a mo-mo and come up with our fave pilots for this week’s Fave Five Friday. Ok, to be fair I may have been predisposed to love this show. I mean a superhero show, starring Stephen Amell, who let’s be honest is pretty easy on the eyes, what’s not to like? But over all the show’s pilot was really strong full of just the right amount of action and mystery to keep me wanting more. And the reveal at the end? I always thought The River got a bum rap. The series ran for only 8 episodes and was one of the creepiest things I’ve seen on tv. Seriously, if you haven’t seen this show, you should, just don’t watch it late at night…trust me. “Magus” was just the right amount of sinister to get you invested and creeped out. Bonus: the show starred Paul Blackthorne aka Det. Quentin Lance, 2012 was a big year for Mr. Blackthorne. There is a reason Psych was one of USA’s longest running shows, it was good wacky fun right from the start. It’s clear from the very first episode that this is a show that doesn’t take itself too seriously. I’m a sucker for witty fast-paced dialogue and James Roday is both hysterical and utterly charming as Shawn Spencer. I have often said, “Brits do it better…”, this is a prime example of British Awesomeness. A brilliant cast starring, the then pretty much unknown, Benedict Cumberbatch, and the creative brilliance of Steven Moffat & Mark Gatiss, it would be hard to go wrong. The modernization of classic tales made them easily accessible to a wider audience. Plus “A Study in Pink” lead to this Brilliant gif. Possibly the greatest pilot I have ever watched. This pilot kept me watching this show and sucked me in ten minutes in. There was no awkward ‘we’re just trying to pitch to a network, so this is jumbled information’. It was perfect and fanatic-inducing. Bravo, BBC. Yea, okay. Watching this pilot now, 6 seasons and an epic love story later, it is laughable. But laughable in a fabulous way. Beckett was a redhead, Castle was a scruff-faced lothario and the precinct was actually two different precincts! This is also the only episode of the show (half of it, really) that was filmed in NYC. It is amazing how far this show and the have come in 6 seasons. So, when The Almighty Fox originally aired Firefly, they chose not to air the two-hour pilot, but to make the first episode viewers got to see ‘Train Job’ … Mm, yea. Bonehead move. This pilot shows us who our crew of misfits were before we knew them. It answers a lot of questions about these people who make us understand why they do what they do. How do you learn to love characters you aren’t introduced to? Exactly. Guys, this pilot. Oh, this pilot. Scully was a brunette, Mulder was baby-faced and Cigarette Smoking Man was just an extra. This is pure 1993 at its finest. I love this pilot for so many reasons, but mostly because it is the beginning of something iconic. You all have heard me talk about this show. The pilot starts out very slow. We slowly meet Stella Gibson, Our serial killer, Peter and his first victim. We get to know her, like her, what her hopes are. And then we watch him kill her. This show portrays women in such a different light than any crime drama I have ever watched. Our lead character is in charge of more than just the police station, she is in charge of her femininity, her sexuality and she isn’t ashamed or afraid of it. She very obviously holds all the power and what a thing that is. I’ve been a fan of the show from the beginning, I wouldn’t classify myself as diehard, I know there are plenty of others out there who could put me to shame, however safe to say the show is near and dear to my heart. 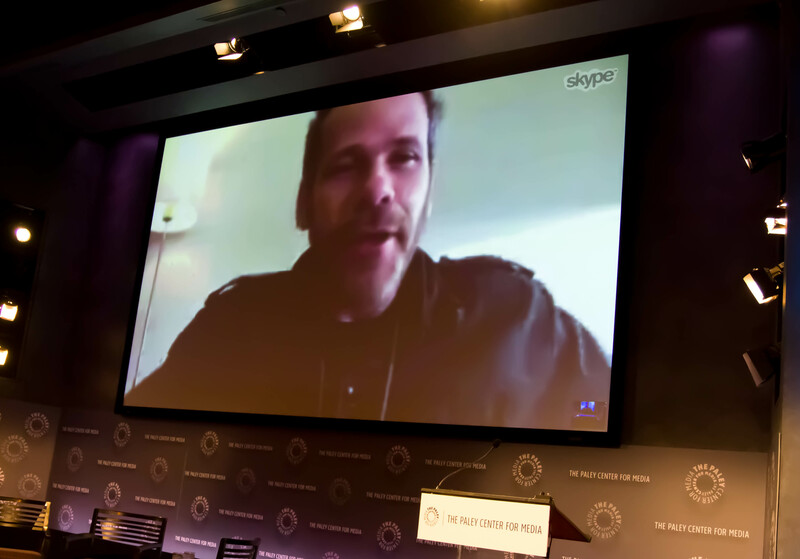 So of course I was saddened to learn of it’s impending demise, and thrilled to hear that The Paley Center’s event for the show was being held in NYC. Even more so when the fantastical Cate, who has never seen an episode, offered to join me. After some brief introductory speaking, we were joined, via Skype by Coexecutive producer/Writer Andy Berman, who introduced the special early screening of “A Nightmare on State Street”. The episode was unique in that fact that not only was it written and directed by the show’s star James Roday, but it was based upon a storyline that was voted on by the fans. 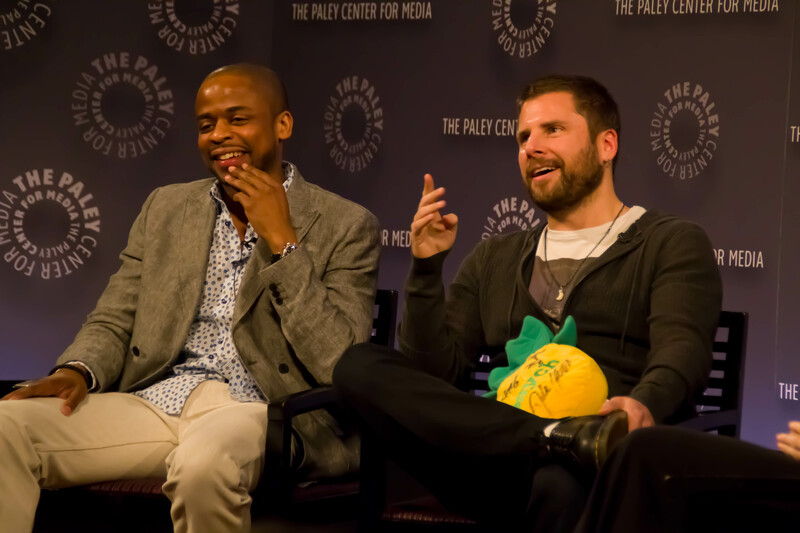 If there is one thing Psych has been good at, it is listen to the wishes of their fanbase. What’s also so great about Psych is that they managed to take an episode, which was basically a love letter to their fans, chock full of inside jokes and gags, and still manage to make it entertaining to those viewers who are not entrenched in the world of the Psych-Os. After the Q & A, they screened a short clip from the series finale, cue lone tear trickling down my face. All and all it was a great night, and I really hope The Paley Center starts doing more events like this in New York. Psych’s finale episode, entitled “The Break Up”, will air Wednesday March 26th at 9pm EST, followed by the “After PShow” at 10:07pm EST. But fear not Psych-Os, there is still some more fun before it’s all done. This Friday night/Saturday morning USA is running a Psych marathon starting at 12am EST and ending at 6am EST. We here at It’s All Geek to Me, will be hosting a twitter party to celebrate. 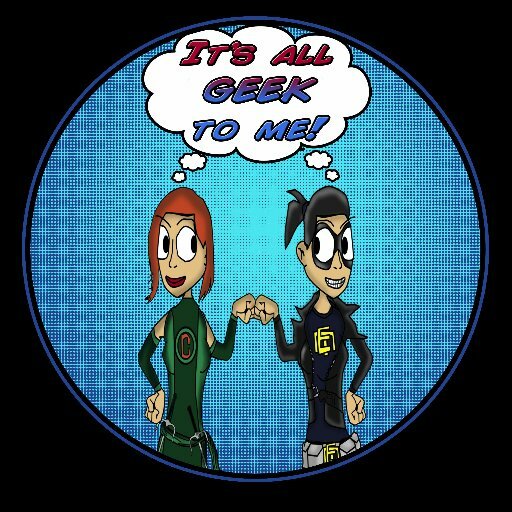 Make sure to follow us at @Allgeek2meradio for all sorts of trivia, reactions, pics and mayhem to join in on the fun. So what are your thought? Are you guys ready to say goodbye? What are your favorite Psych moments/memories? Hit up the comments and let us know. *If your interested in viewing more awesome pictures from Monday night, you can head over to our Facebook, to check them out.